A lot of people today, enjoy starting their day with a mug or cup of something warm to drink. They relish that steaming cup of brew as a habitually drink for most mornings. However, if you enjoy drinking something every morning, it is a only logical to make it as healthy as possible. The most popular of such early morning drinks is coffee. When it comes to healthy drinks coffee has a bad reputation that it doesn’t really deserve. Yes, coffee has definitely been regarded as an unhealthy drink for the past few years. However, the good news is that those assertions have been proven to be false. 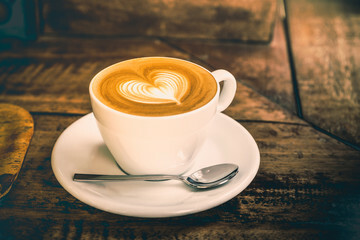 Many people in the United States of America, and all over the world enjoy coffee and highly regard drinking it as the best way to start your day. Admittedly, drinking too much coffee and consuming it unhealthily can lead to health issues like, dehydration and insomnia. But if you know the most healthy ways to drink coffee, you can avoid all this issues and enjoy some health benefits. 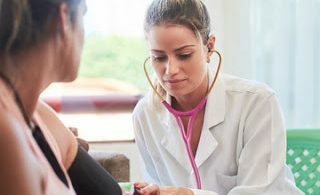 The ability to prevent Parkinson’s disease. According to a study from the Archives of Internal Medicine, drinking coffee can reduce the risk of Parkinson’s disease. Coffee is also a powerful drink, full of antioxidant, which neutralizes free radicals in the skin, thereby, preventing skin diseases and premature aging. Harvard School of Public Health conducted a study which showed people who drank coffee regularly had lower risk of developing Type 2 Diabetes. Drinking coffee has also been credited to significantly lower the risk of gallstones and liver cirrhosis. Coffee is also good for improving cognitive fun. It is a healthy food for the brain. You should know that all these health benefits will only be gotten if you drink coffee the healthy way. So, what is the healthy way to drink coffee? This article will show you 8 most healthy ways to enjoy coffee. Many people drink only coffee as their breakfast, this is wrong. Coffee should not be a substitute for food. You need real food that contains carbohydrates, vegetables and proteins. Remember that breakfast is the most important meal of the day, and thus, should be eaten well. You can drink coffee after eating breakfast. When it comes to eating healthy food, the quality of the food product depends greatly on the way it was processed and how it was grown. 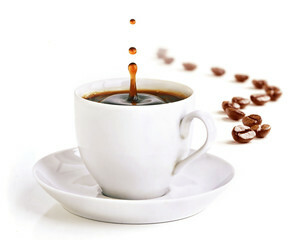 Most coffee beans are heavily sprayed with pesticides, and herbicides that contain various toxic substances for humans. Hence to drink coffee the healthy way, I strongly recommend that you buy organic coffee. Organogold sell the best organic coffee out there. They sell premium ganoderma coffee online. Adding too much sugar to your coffee can take it from healthy to super unhealthly. Most people actually crave for more sugar content in the coffee than the coffee itself. You have to realize that too much sugar is not good. It could lead to problems like diabetes and obesity. You can either reduce the sugar content in your coffee drastically or reolacd it with raw cream. Cinnamon is the perfect herb to make your coffee healthy. It is an amazing substitute for sugar and creams that make your coffee unhealthy. Cinnamon has a natural sweet flavor that will eliminate the need for sweeteners that add a caloric load to your coffee. Cinnamon is helpful in inflammatory conditions,promotes cardiovascular health and can help you lose weight. If you are looking for a quick answer to the question, what is the healthy way to drink coffee? The answer is drink all black coffee! If you drink black coffee you won’t be preventing the health benefits of coffee by adding a bunch of harmful stuff to it. Black coffee is naturally a low-calorie beverage. diterpines. Diterpines gives coffee it’s bitter taste and is made up of cafestol and kahweol. Cafestol has been described as one of the most cholesterol-elevating substance. However, you can remove this cafestol and enjoy your healthy coffee. 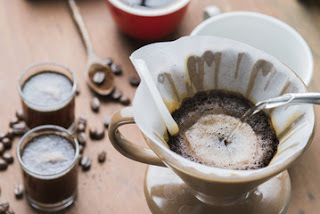 This can be done by simply filtering your coffee with a paper filter. Filtering it will remove the diterpines and allow other essential nutrients and antioxidants pass through. 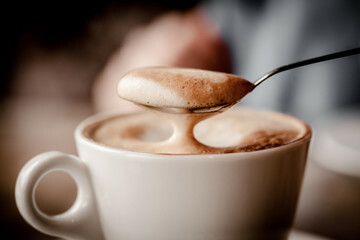 Many artificial and low-fat creamers are usually added to coffees. However, these commercial low-fat and artificial creamers are highly processed and full of unhealthy ingredients. They also increase the caloric load of your coffee. You can replace this creams with cocoa, coconut oil and egg yolk. The best way to eat healthy is to eat in moderation. Instead drinking coffee anytime you just feel the urge to do so, cut down and your coffee intake and drink in moderation. You can take a cup of coffee a day or three times a day, depending on your health needs. If you are well hydrated you will feel less urge to drink coffee all the time. So, drink more water and other healthy fluids. Coffee is a great drink, and a healthy one too. You just need to make it healthier by following the above tips and you are good to go! Great tips! I don't drink a lot of coffee but when I do I always take it black to avoid extra sugar and what not. I love the tip of using cinnamon, very yummy! These were great tips on enjoying and getting the most healthy lifestyle out of being a coffee fan. There are definitely some switches I can try here. As a caffeine addict, it is hard to resist coffee! I have started drinking black coffee and seeing the changes in my body! this post with my mama. 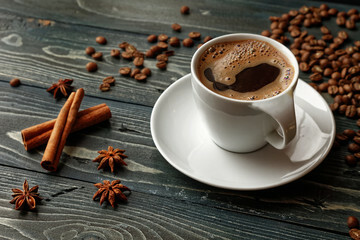 I don't drink coffee (a tea person) but I do know that adding cinnamon to coffee gives it a different kind of fragrance! There's also the butter coffee too, which I thought can be pretty good if in moderation. You just stated the so called healthy aspects of coffee without stating the side effects and health risks.